Due to a prolong dry period, large part of a forest can become dead and dry and then forest fires can occur naturally. 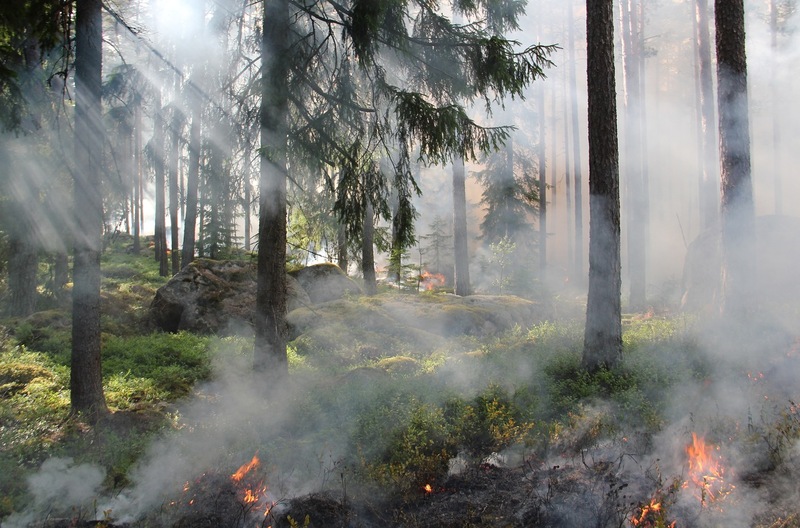 In such condition forest fires can spread very rapidly engulfing a huge area and produce a significant amount of smoke and carbon monoxide in the air. These pollutants cause air pollution locally and contribute to green house effect and global warming globally. Large dry and arid areas, resulted from lack of rain and heat are very prone to dust storms. These dry lands are usually exposed without any vegetative cover. Wind can naturally pick up a lot of soil and dust along with it and create dust storms. These dusts can cause significant air pollution effecting human, animal, vegetative crops and other plants. Dust and particulate matter poses health hazard to living creatures when inhaled. Also they effect natural vegetation by creating a layer on top of them. 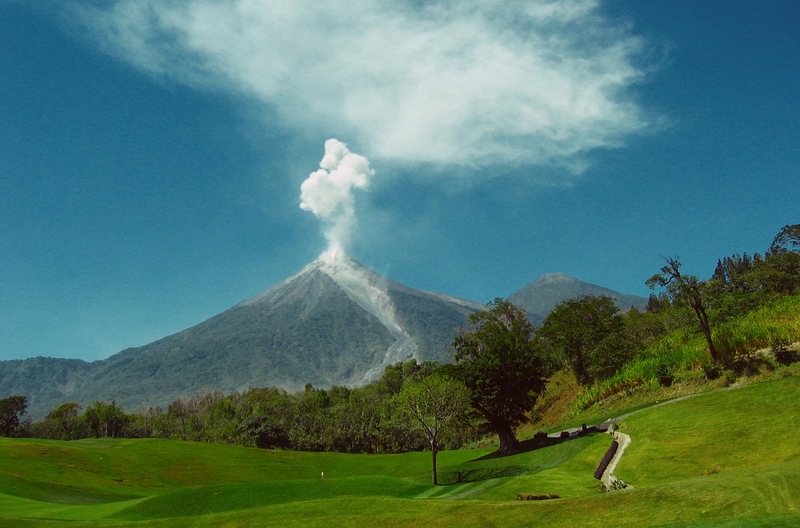 Volcano and volcanic activities are a significant source of natural air pollution. When a volcano erupts it releases a huge amount of sulfuric, chlorine and ash products in the atmosphere. Huge volcanic eruption can affect a large area by spreading these pollutants and creating a pollutant cover. These pollutants reflect solar radiation and create a cooling effect that can last over years. Combustion of fossil fuels like coal, natural gas, gasoline, diesel etc. is a significant source of air pollution. 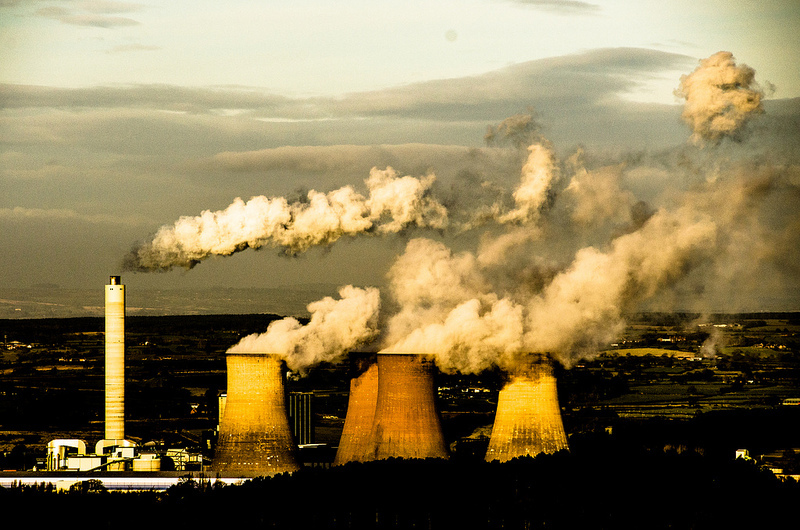 Burning of fossil fuels release air pollutants like sulfur dioxide, nitrogen oxides, carbon monoxide, carbon dioxide, ozone, different volatile organic compounds (VOCs) and particulate matters(PM). Increased civilization and industrialization has caused us using more and more fossil fuels to meet our energy needs, which contribute directly in increasing air pollution. 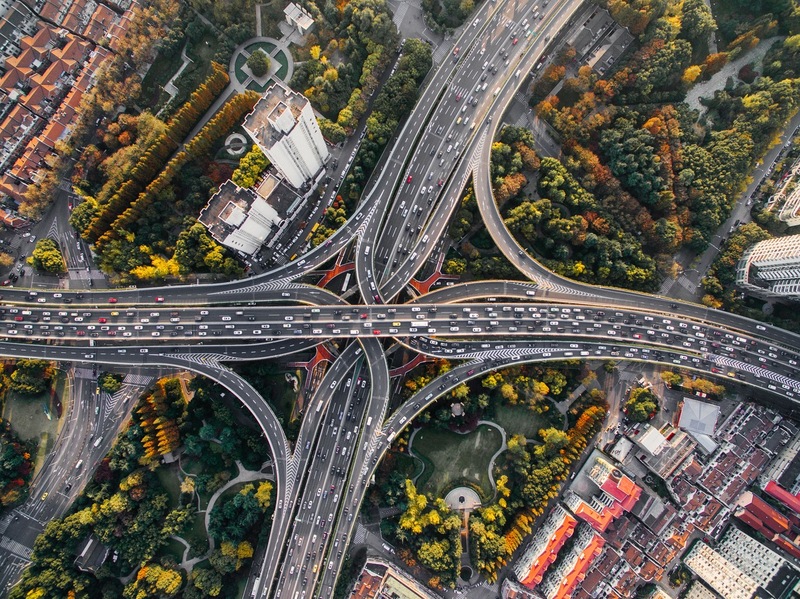 Increased traffic and transpiration is one of the major causes of air pollution worldwide. Fossil fuels are traditionally used to power the vehicles and combustion of fossil fuel generates a variety of air pollutants. We use automobiles and vehicles like car, bus, trucks, recreation vehicles, shipping vessels, air plane etc. in our everyday activities. On top of that lack of good public transportation in some countries encourages personal vehicles which worsen the situation. Conventional power plant uses fossil fuels like coal, gas, oil etc. to produce electricity and release air pollutants like sulfur dioxide, nitrogen oxides, carbon dioxide and various particulate matters. The pollutant generated by electricity sectors contribute majorly in smog, acid rain and global warming; some direct effect of air pollution. We rely on industries and factories for manufacturing products and goods to support our existence and civilization. But majority of the factories uses fossil fuel based energy sources. A vast quantity of air pollutants also gets release due to various manufacturing and industrial activities like carbon monoxide, hydrocarbon, volatile organic matters and particulates. Industries that produces aluminum, iron, steel, cement; base metal smelters and refineries; pulp and paper mills etc., are major contributors to air pollution. Various mining operation involves digging and heavy machineries. As a result a large amount of dust and other mining chemical get released to the air and caused air pollutions. Sometimes household cleaning products, pest killers and paints on the walls release harmful air pollutants. Also various fertilizers, pesticides, herbicides, insecticides etc., also release harmful chemical to the air and cause air pollution. Different waste dumping sites and landfills can generate and release methane, a gas responsible for long term global warming and green house effect. Unmindful dumping and uncontrolled landfill sites thus contributes to air pollution.